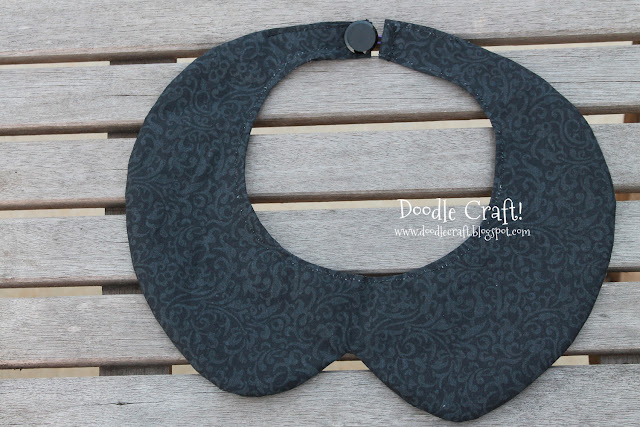 Doodlecraft: Lace and Pearl Collar Necklace! Lace and Pearl Collar Necklace! but making it a necklace is the PERFECT for versatility! You'll need about 3 inches of 1/4" elastic. Sew the button on the top of the collar. Sew the elastic like a loop on the other side. Wear it like a necklace. Would make an awesome gift for a fashion forward gal! Check out these other collar necklaces too!